Everyone is invited — and indeed encouraged — to continue the conversation in the comments thread. [L]’histoire […] n’est, après tout, qu’un ramas de tracasseries qu’on fait aux morts. To teach or write effectively, it helps to think about one’s audience and their concerns, interests and needs. Thinking about the audience does however open cans of worms when teaching or writing the history of an academic field. A figure from the 13th century belonged to a world vastly different from the one that I, my colleagues and our students inhabit. It’s an uphill struggle convincing them that anything Thomas Aquinas wrote about language relates to their own concerns. Were I to take them on an intellectual archaeological dig to establish simply what ‘language’ meant to Aquinas, some would be fascinated, but most would see it as a retrograde diversion. What I find myself doing, then, is making figures from the past appear to share present-day concerns: corpse puppetry, we might call it, one of the ‘harrassments inflicted on the dead’, as Voltaire describes history in the epigram above. When writing about Plato’s Cratylus, I ventriloquize Socrates saying ‘word’ (or in some contexts ‘noun’) where what Plato wrote was onoma, traditionally translated as ‘name’. Modern linguistics doesn’t have a clear place for names. It has one for ‘word’, less central than the place for morpheme or sign, but that’s all right: the slight eccentricity of ‘word’ gives my translation the tinge of exoticism that connotes authenticity. The first English translation of Humboldt’s Kawi-Sprache (1971) didn’t ring true because it used terms such as ‘phoneme’. That isn’t to dismiss the translators as disastrous anachronists, but they did make Humboldt come off as a half-baked structuralist rather than a far-seeing man of his time. One then ends up ‘mistaking some scattered or incidental remarks by one of the classic theorists for his “doctrine” on one of the themes which the historian is set to expect’, or else ‘a classic theorist who fairly clearly does fail to come up with a recognizable doctrine on one of the mandatory themes is then criticized for his failure to do so’ (ibid., p. 14). At its worst, this can become ‘a means to fix one’s own prejudices on to the most charismatic names, under the guise of innocuous historical speculation. History then indeed becomes a pack of tricks we play on the dead’ (pp. 13-14). While Skinner was essentially right, I prefer to avoid the terms ‘myth’ and ‘mythology’ because, once introduced, they impede a neutral investigation. Moreover, the ‘myth’ metaphor doesn’t lend itself to capturing the fact that in scientific and intellectual history something like Newton’s Third Law of Motion applies, whereby every conceptual action has an equal and opposite reaction. A case in point is the polarization between Nature and Subject/Society that Latour (1991) posits as defining the ‘constitution’ of ‘modern’ thought. Since the 17th century, people writing on various subjects have tried to ‘purify’ their work onto one or the other pole – an impossible aim, Latour argues. Its result has been the covert proliferation of ‘hybrids’ within the space between the two poles. Skinner’s mythology of authorial consistency has its polarized reaction in a mythology of authorial inconsistency based on an assumption of progress from an early to a late phase of an individual’s work. It was long the received wisdom about Saussure that his interest in general linguistics began with his lectures on the topic in 1907. Hence his manuscripts at Harvard exploring general linguistic and semiological issues were assumed to date to late in his career. Marchese’s (1995) close study of the manuscripts has shown however that they are from the early 1880s – which means that there wasn’t actually an ‘early’ and ‘late’ Saussure, but a man whose core interests were consistent from his early 20s until his death. On the other hand, some key aspects of his thought didn’t develop into their final form until he was actually lecturing on them, revisiting them and refining them. Identifying a consistency/inconsistency polarization and locating an individual in the hybrid middle ground is an example of Latourian ‘symmetrical anthropology’. I shall briefly discuss two further examples: continuity/discontinuity, and progress/regress. The first question concerning continuity/discontinuity is: how far can we take ‘linguistics’ back into a time when the term itself isn’t yet attested, and long before it was institutionalized as an academic subject in the 19th and 20th centuries? Attempts at skirting this question by replacing ‘linguistics’ with ‘linguistic thought’ are another case of an anachronism that is possibly more misleading because subtler. ‘Linguistic thought’ still means projecting back into the past the concerns about language that present-day linguists can relate to, or, alternatively – and herein lies the symmetry – denying that they relate to present-day concerns, and exoticizing them to the point that they are ghettoized into a dusty historical cupboard, further strengthening assumptions of our present-day superiority. To write the history of linguistics well requires navigating a path through this polarized conceptual field. It means constantly bearing in mind, and finding discreet ways to remind readers, that our continuity with the past is always a semi-fictional construct; and not forgetting what Skinner’s point about consistency implies: that views belonging to the distant past often still have a reflex somewhere, and the potential to be rediscovered as what Levelt (2013) calls ‘sleeping beauties’. Progress/regress follows on from Skinner’s point about expecting each writer to maintain a consistent doctrine. We also expect later writers to have either absorbed or rejected the doctrines that preceded them (this despite our awareness that our own contemporaries in linguistics are seldom masters of the discipline’s history). And so we anticipate an arc of progress over the centuries, or, symmetrically, of regress. Either provides a good narrative frame (though progressive ones tend to attract more grant funding). This can lead us, when doing our research, to cherry-pick just those texts and ideas that fit our plot of progress or regress, and to read past the ones that don’t – or, if we include them, to downplay them, even if they were hugely important. That, again, is deep-level anachronism. An example with direct implications for the history of linguistics is the question of whether the head or the heart is the location of the mind/soul. For Plato it was the head, but Aristotle, his student, the ‘prince of philosophers’ and son of a physician, with a far greater knowledge of anatomy, believed it was the heart. An awkward blip like this one works nicely in a historical account, lending interest, reminding us that Aristotle was human and that regress happens. But it wasn’t a one-off blip. Four centuries after Aristotle, Galen demonstrated that the brain was in fact the controlling centre: squeeze the heart of a living creature with forceps, he wrote, and it will merely spasm and cry out, whereas squeezing the brain results in total silent paralysis. Yet for a further 1500 years medical, theological and philosophical texts go on siding messily with either Plato or Aristotle. So too with the body’s management of the vital and animal spirits, which relate directly to views on the production and reception of language. The result of the messiness is that histories of mind and language tend to ignore all this, preferring a massive historical erasure of everything between Aristotle and Descartes, or simply before Descartes. Skinner’s mythology metaphor itself reflects a desire to purify history of anachronism, playing into a polarized ideology of progress. Of course uncontrolled anachronism must be avoided – that’s too obvious to bear stating. But I began this paper by trying to show that controlled anachronism can have positive effects, helping us to teach and write history that contemporary linguists can appreciate; and I have argued that we should locate history within the space of hybrids, between the poles of consistency and inconsistency, continuity and discontinuity, progress and regress. Skinner was right to reject any pre-set expectation that all classic writers will have a consistent doctrine regarding every aspect of the present-day academic field with which they are associated, but no better is the polarly opposed alternative of assuming that no such doctrine can be reconstructed for anyone from the past. Much research into intellectual history and personal biography is needed before one can make an informed decision concerning any individual writer. There is another way of interpreting my phrase ‘corpse puppetry’: that we historians are the dummies, and that it is the corpse ventriloquists who speak through us. This is the illusion most of us want to foster, indeed to believe ourselves. What we do would be simpler and more elegant if context informed by deep research provided the key to a full reading of the ideas and texts of the past, or if a ‘history of ideas’ were detachable from the people who enunciated, received and recirculated them. But that is chimerical. Each of us needs finally to interpret the texts and ideas, becoming in the process the puppeteers of their authors’ corpses. 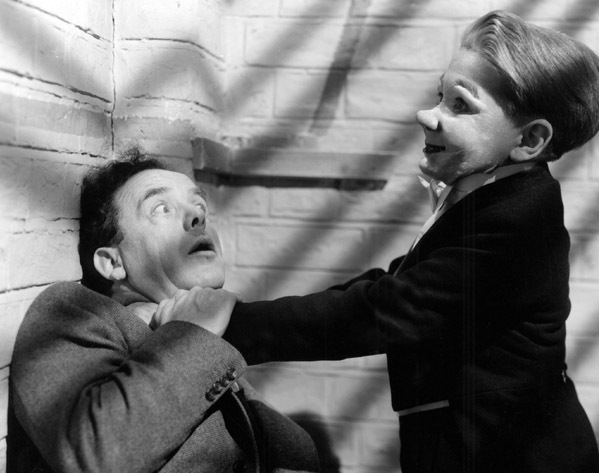 The scariest film ever, Cavalcanti’s ‘The Ventriloquist’s Dummy’ sequence in Dead of Night (1945), plays on our deep fear of how controller and controlled are inextricably intertwined, each eventually becoming the other. Corpse puppetry may mean that each of us, living historian and historicized corpse, has our hand up the other’s backside. Unpleasant, but I have chosen the metaphor in an attempt at brutal honesty, which is invariably ugly. Ultimately what I have tried to propose is that we should aim, not for a polarized extreme of embracing or eschewing anachronism, but for a hybrid practice that allows us to maximise its positive uses. Bergs, Alexander. 2012. ‘Uniformitarianism and the risk of anachronisms in language and social history’, in Handbook of Historical Sociolinguistics, edited by Juan Manuel Hernández-Campoy & Juan Camilo Conde-Silvestre, 80-98. Malden, Mass., Oxford & Chichester: Wiley-Blackwell. Gombrich, E. H. 1960. Art and Illusion: A Study in the Psychology of Pictorial Representation. London: Phaidon; New York: Pantheon. Humboldt, Wilhelm von. 1971 . Linguistic Variability and Intellectual Development. Trans. by George C. Buck & Frithjof A. Raven. Coral Gables, Fla.: University of Miami Press. Latour, Bruno. 1991. Nous n’avons jamais été modernes: Essai d’anthropologie symétrique. Paris: La Découverte. Levelt, Willem J. M. 2013. A History of Psycholinguistics: The Pre-Chomskyan Era. Oxford: Oxford University Press. Marchese, Maria Pia (ed.). 1995. Ferdinand de Saussure, Phonétique: Il manoscritto di Harvard Houghton Library bMS Fr 266 (8). Padova: Unipress. Skinner, Quentin. 1969. ‘Meaning and understanding in the history of ideas’, in History and Theory 8/1: 3-53. ‘Communicating the past to the present’: Is anachronism inevitable? Desirable? On the question as to whether anachronism is inevitable or perhaps even desirable in the history of linguistics there are two diametrically opposed views: that of fundamentalist historicism, according to which any theory can only be explained from a historical perspective and can only be understood in terms of its historical background; and that of radical utilitarianism, which maintains that history of linguistics should only be undertaken with a view to its use for modern linguistics. If we take the first position, anachronism becomes something objectionable. From the second position, by contrast, anachronism is simply a matter of course. Precisely where an individual researcher will place themselves between these two extremes depends on their intentions and the area in which they work. I cannot say that I have always avoided these two extremes, even though I see myself as a linguist who (also) has historiographic interests and do indeed think it is sensible to avoid these two extremes. There can be no place for anachronism when investigating previously unexamined or relatively poorly known texts. For example, when examining manuscripts written as entries in the 1797 competition of the Institut National on the question of the influence of signs on ideas, it would not help us at all to assume the categories of modern cognitive linguistics and to blithely identify these in these early texts. Rather, we have to adopt the epistemological outlook of the time, see the authors’ arguments in relation to it, and compare their arguments with one another. The history of institutions, personal history and social history are also required here to understand such problems as why the prize was advertised again two years later and why the winning entry deviated significantly from the expectations as outlined in the prize call and yet met those of the jury. Historical-philological work that seeks to orient itself to the outlook of the time and to avoid anachronisms is not at all obsolete. Working through the store of treatises, grammars, dictionaries, letters and other texts that in part remain unexamined is an important task of linguistic historiography. This work is not only about capturing past manifestations of linguistic consciousness, but is also a part of cultural history, which has received differing degrees of attention in different periods and regions. Anachronisms in the form of references to later linguistic approaches or even to modern theories should not be ruled out here, but they do not lead to a better understanding of the texts being examined. In some cases they can lead the reader or even the researcher astray, in that they might prompt premature and simplistic conclusions about the impact of the texts on later thought. …, dass Maria die Lehrerin hilft. The greater effort required for the two-step analysis in cases of inversion can be observed by measuring the activity of certain brain regions or by examining eye movements while reading. If no inversions are used or when a language does not allow them at all, the effort required for comprehension would be smaller, the brain activity lower and eye movements less extensive. This line of argument reminds me of the doctrine of natural word order, which reached its climax in France in the 17th century. Of course we cannot expect to find attempts at experimental verification of the doctrine of an easier, natural word order in the 17th century, but something similar is proposed by Le Laboureur when he characterises the preferred order in French of subject-verb-object as that dictated by nature. The Latin-speaking Romans could not have thought in a different way from the French, since their minds were shaped the same way – they must therefore have thought in the same order, applied reorderings only in their expression, and through this additional effort made it difficult for themselves to speak logically and intelligibly. So the order was in fact the same in all languages; it was just that the French had the best chance to follow it also in their expression. Nous suivons en tous nos discours exactement l’ordre de la pensée qui est celui de la Nature; […] l’usage et la coûtume ne sauraient nous imposer en cela, où la raison se fait presque sentir et toucher. The question of whether the large differences between Latin and French word order mean that the Romans thought differently from the French is answered on the basis of the rationalist separation of language and thought. Raison, and by consequence the laws of thought, are the same for all nations. In the context of Descartes’ rationalism there can be no doubt about the uniformity and indivisibility of raison. There is a parallel to the rationalist theory of word order in modern research. The fixed word order subject-verb-object is treated as the unproblematic basic form, and all orders that deviate from this are seen as effects of information structure. The rationally determined syntactic structure is described as the ID structure, while the word order that comes about as the result of a language-specific ordering is characterised as an LP surface form independent of the ID structure. The rationalist theories and modern neurolinguists are in agreement that inversions of word order involve greater cognitive effort for comprehension. But how do we really determine the effort involved? The subjects who are given these sentences while in the CT scanner are offered neither a broader context nor a natural speech situation; they must therefore rely solely on the sentence they are given and the word order used in it. As a result, they must of course expend greater effort to understand the sentence …dass Maria die Lehrerin hilft. In the context Paul hat niemanden, der ihm bei den Hausaufgaben helfen würde. Es ist gut, dass Maria die Lehrerin hilft. the effort required would be significantly less, possibly even less than in the sentence with the ‘normal’ word order. To determine what the actual ‘costs’ would be, we really need pragmatic investigations of information structure that seek to capture the process of understanding in its full complexity. The need to consider the intention of the speaker and the pragmatic context of the utterance when judging the naturalness of word order was already brought into the vigorous discussion of the 18th century. Charles Batteux presented a new, sensualistic dogma when he said that there was no natural word order in French, but rather only inversions. The standard for naturalness here is not a prefigured rationalist sequence of thought, but the order of thoughts according to their importance for the speaker. So we say rotundus est sol, since this sentence is about a property of the sun and not whether or not it exists. When we want to emphasise particular properties of an object, the appropriate place for the adjective is before the substantive. So in the presence of a Roman we would say romanum imperium and not imperium romanum. Diderot went even further when he described the fixed order subject-verb-object not as the natural order, but as the institutional or didactic order. He supposed it to be the result of a craving for rules of word order and the development of syntactic norms. He redefined the term ordre naturel and used it to describe the original word order based on the senses, from which we have progressively moved further away in the course of the development of language and thought. It is undoubtedly an anachronism to use a historical analogy to back up the demand to investigate information structure as a pragmatic phenomenon and to relativise its rationalist foundation, but it is an anachronism that strikes me as very appropriate. Admittedly this line of argument has been ignored by modern linguists and has not been understood by historians of linguistics. Perhaps we should draw from this the conclusion that there is no value in anachronisms in the historiography of linguistics. But it seems to me that offering a way to rethink modern theories and methods is also a legitimate task of historiographic research. 3. Anachronism for research into conceptual history? Whether or not anachronisms are appropriate for historiographic work is a question that must be continually addressed especially in the context of conceptual history. A conceptual work that looks at a period that is far away from present-day thinking on language itself has to come to terms with the question of whether it should proceed retrospectively or whether it should try to reconstruct the authentic concepts of the period under consideration. Key concepts of the present – such as ‘pragmatic’, ‘functional’, ‘generative’, ‘modular’, ‘cognitive’, ‘structural’ – may illustrate just how complex the intertwining of problems and their concepts can be, as long as we are dealing with authentic self-descriptions and not polemical or tendentious descriptions imposed from outside. In this context the question arises as to what extent we should adopt present-day claims about language itself that are conceptually anchored in one or more theories as the point of departure for historiographic research, or whether we should attempt to exclusively reconstruct concepts from the linguistic thought of the period being investigated, in an effort to avoid any kind of teleological perspective. Research in the history of science is not concerned with the properties of language, but with the discourse of linguistic research. But a claim about language is not always transparent: as a form of expression, it is always dependent on the conditions under which it was made. A high priority for the historian of science is to reconstruct these conditions for recipients who do not have the same forms of expression and are not part of the situation in which they emerged. Every cognitive act is a historical fact; its form of existence is not the ideal timelessness of the logical level of truth. Because of its historical limitedness, knowledge has a horizon of retrospection and a horizon of projection. Science does not destroy its past, but rather organises it, selects, forgets, interprets, idealises, just as it anticipates and construes its future. What is special about historiographic work as opposed to the approach of the scientist who is simply interested in the history of their discipline can be seen precisely in the reconstruction of the emergence of theories and positions in context. For this task it is quite appropriate to warn against anachronisms. The correction of retrospective selections of facts and of mainstream opinions will necessarily also lead to accentuating forgotten or marginalised knowledge. Of course this cannot be allowed to lead to the establishment of linear continuities that take no account of either the conditions under which individual concepts formed or the network of relations in which they exist. The basis of the comparison across time must rather be sufficiently general questions that tend to lead to comparable answers. To describe this kind of questions and solutions I prefer the term conceptualisations, which draws out the process-like nature of the phenomenon described. A static description of the concept could only produce results which for their own part would have to be made transparent through examination in the context of their historical relations and the historical conditions of their emergence. Concepts are units of knowledge that group phenomena and objects together into classes according to their characteristics and which determine their relation to other classes of phenomena. While phenomena change over time, concepts generalise and subsume in their grouping. The networks of relations and functional connections that are represented in this way can be described with a sufficient degree of generality to capture greater commonalities in questions and answers even in the case of greater historical changes. The search for authentic concepts of a period makes the characteristics on which the formation of classes are based transparent, justifies them in their historical boundedness and determines the place of the concept in the time-bound network. Work in conceptual history then proceeds retrospectively when it starts with those conceptual characteristics that correspond to the views on the subject matter of a particular period and seeks earlier conceptualisations that are comparable. Retrospective observation can help to establish sufficiently general characteristics for conceptualisations, but it must of course not be allowed to make the mistake of laying a temporally bound ‘standard’ on an earlier period of linguistic thought. Occasionally it is only through such a view that we will even notice authentic concepts that correspond to contemporary research questions, since they can be obscured through the lack of current lexical forms. Zu dem grammatikalischen Bau, in so fern er auf den Nachdruck der Sprache Beziehung hat, gehört vorzüglich auch die Wortstellung (Syntax). Sind die Gesetze derselben für jeden Fall durchaus bestimmt und unab­änderlich, wie z. B. in der Französischen Sprache: so kann der Geist da, wo es der Strom der Rede und die Heftigkeit der Empfindung erfordert, daß der Gegenstand aus der Masse der Ideen besonders herausgehoben und dem Auge nahe gebracht werde, und wo ofte das, was in dem ruhigen Flusse der Rede das erste Wort seyn würde, das letzte seyn muß, und umgekehrt; – so kann er hier Empfindung und Leidenschaft nicht mit aller der Fülle und nach allen den Nüanzen in der Sprache darstellen, als er’s ohne dieß würde thun können. Were linguistic phenomena put into classes on the basis of the characteristic ‘movement with a change in communicative value’? Were there current or, as the case may be, even specific names for this class? What relational networks and functional connections were put together in other classes? The way we have posed this question makes it clear that we are focussing on cognitive processes in concept formation and that we do not reduce the onomasiological question to a listing of authentic terms for a fixed concept. This grouping by characteristics during the process of conceptualisation can also be observed at a pre-conceptual stage, which can be revealed at a linguistic level by non-specific or periphrastic terms. The establishment of a concept itself is generally not concluded with the coining of a term, since the network of relations in which the concept is situated might only solidify later or could be reconstituted. Even a change in the constitutive characteristics of the conceptual formation is possible here. 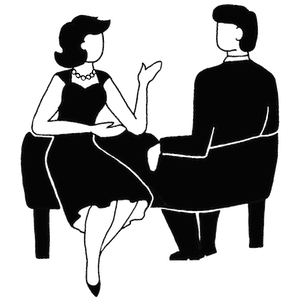 In our example of Nachdruck we have taken a very non-specific term for the change in the communicative value of a sentence constituent, which however, because of its explicit relations, is part of a meaningful network. The grammatischer Bau is introduced as something superordinate and can only be brought partially into relation with Nachdruck, while Wortstellung is put into an immediate relation and explained in brackets with Syntax. A clear relation of Nachdruck to Strom der Rede is also set up. C’est-à-dire, que la voix, l’écriture et le geste deviennent les trois moyens que nous employons pour la communication des pensées, et un système quelconque de ces moyens, est ce qu’on nomme une langue, du principal organe que nous employons à cette communication; c’est à la faculté d’employer ces moyens, prise d’une manière générale, qu’on donne le nom de langage, et à l’Acte de cette faculté, qu’on donne celui de parole. It is therefore not so much the distinction that should be attributed to Saussure, but rather the settling of the terms, which answered to the need for conceptualisation in his time. In research into conceptual history a certain degree of anachronism is inevitable. Anachronism can even help us to recognise connections. Such a view is of course susceptible to the criticism that certain concepts ‘belong’ to certain authors. But does the notion of linguistic relativity really belong to Wilhelm von Humboldt, for instance, and does the arbitrary nature of the linguistic sign belong to Saussure? Ideas and theories do not come out of the blue. When we examine their development retrospectively or prospectively, we of course proceed anachronistically. There is no harm in anachronism as long as we are conscious of its possibilities and limits. Auroux, Sylvain, ‟Science et temporalité”, Language Philosophies and the Language Sciences. A Historical Perspective in Honour of Lia Formigari, ed. by Daniele Gambarara & Stefano Gensini & Antonino Pennisi, Münster, Nodus Publikationen 1996: 27-32 : horizon de rétrospection, horizon de projection. Koselleck, Reinhart, Begriffsgeschichten, Frankfurt am Main: Suhrkamp 2006, 60. Debrun, François-Joseph-Bénoni, Cours de psycologie. Traite de psycographie […] Traité de Grammaire. Laon: Derbigny 1801, 64. Communicating the past to the present: Is anachronism inevitable? desirable? One of the most dramatic chapters in European history is the mass migration to North America and beyond during the nineteenth century. The statistics are jaw-dropping. Some 60 million Europeans departed in the course of a hundred year period, with around 43 million finding their way to North America. In 1800 the population of Norway was a mere 883,000, but a century later around the same number of Norwegians had emigrated to the USA, such that there are now as many Norwegian-Americans as there are Norwegian Norwegians. What the top-level figures fail to express, and what is also lost in the surviving evidence, such as port records, is that this comprises an aggregation of personal stories and dramas. There is plenty of debate about the extent to which push factors or pull factors predominated, but “there is, of course, no general explanation” (Norman & Runblom 1988: 112); the past is made of millions of individual stories. 19th-centry emigration is not remote history. There are records and there are photographs and there are surviving artefacts and stories in the possession of the descendants, so surely it must be possible to capture those personal realities. Surely, with all the technology at our disposal, it must be possible to communicate this particular past to the present in a direct way. I have recently completed a project which sought to present Norwegian emigration history to a modern audience using 3D virtual-world technology. One aim of this project was to animate the journey made by a generic Norwegian peasant (Ola Nordmann or the Norwegian Everyman) from rural Norway via what by the 1880s had become the standard emigration route, from Bergen to Hull to Liverpool and on to New York. The 3D world was fully informed by the evidence and involved the reconstruction of 19th-century places and buildings, means of transport and artefacts. 21st-century computer users could then enter the world and accompany our generic emigrant on his journey and literally enter the past. Although the project is now complete and no new accounts can be created, the website is still available and contains more information about this attempt to bridge the gap between the past and the present using computer technology (www.olanordmann.co.uk) and a full account and discussion of the project is in Linn (2015). Was it successful? In some ways, yes. We did what we set out to do, but this could never recapture the reality of the journey. There were no sounds or smells in the ports or on board ship. There were no other travellers in the world, which is completely unrealistic given the vast numbers in transit. However, this was another way of getting into the past. There were some deliberately anachronistic moments, such as the modern Norwegian signage to show visitors where to go, and the chance to fly through the world and be teleported from one location to another, but it all contributes to the number of access points to the past. It may be that we will always be looking at the past through a lens tinted by our own context, but more lenses result in greater clarity, and anyway the past isn’t going to engage many visitors if it’s not fun to go there. Strikingly absent from the history of linguistics is the view from below, the experience of the recipient of linguistics: the pupil, the learner, the reader. History from below is hard work, but it can be done, especially if we can be a bit less precious about the nature of our sources. What would a virtual-world history of linguistics look like? It is a colourful world of global travel, of scholars and institutions and debates. Who wouldn’t want to visit it? The history of linguistics is typically a desiccated enterprise of books and articles and conference papers. Where is the technology in its research, its dissemination and its teaching? Anachronism should be celebrated. Ola Nordmann’s world was about preventing the individual and the personal disappearing from sight amongst the historical stats. The historiography of linguistics is about allowing the voices of those who can no longer speak for themselves to continue to contribute to our ongoing efforts to make sense of language. Norman, Hans & Harald Runblom 1988. Transatlantic Connections: Nordic Migration to the New World after 1800. Oslo: Norwegian University Press. Linn, Andrew 2015. 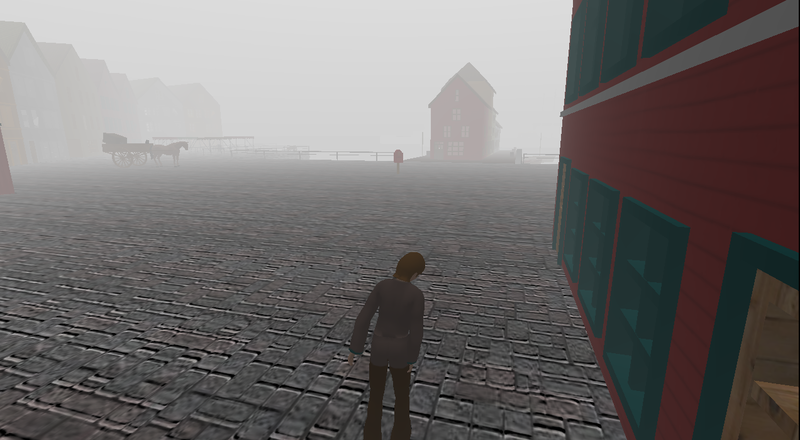 From Voss to New York: Norwegian transmigration to America and the use of virtual worlds in historical research. Historisk tidsskrift 94, 232-259. Many thanks to all three of you for your extremely stimulating opening texts. You raise many interesting points, but there is just one — somewhat tangential — issue I would like to pick up on in this comment. A recurring element in all three texts would seem to be the question of relevance. You all envisage a role for judiciously imposed anachronism in making the past relatable and usable. John talks about employing anachronisms for bringing historical ideas to modern audiences, and Andrew argues that anachronisms can enliven historical accounts. Gerda allows for anachronism as a way of establishing a tertium comparationis that makes conceptual history possible, as well as defending the mining of the past for material to fight modern theoretical battles, an approach facilitated by anachronism. The crusty tenured professor in me wants to insist that scholarship need not be relevant — in fact, its very irrelevance is a sign of its purity and value. But in the modern world such a position is itself an anachronism, I fear. I agree that constructive anachronism is one effective way of re-animating the lifeless historical matter that the front-line historian exhumes. I wonder, though, if there are arguments we could — or would want to — make in favour of an uncompromising, unapologetic history for history’s sake. Thanks to all three contributors for a thought-provoking discussion, and to James for his equally stimulating comment. It’ll be great if the Salon feature on HiPhiLangSci takes off. Three observations occur to me here. First, the broader conception one has about semantics generally is inevitably going to play role in how one approaches these hermeneutic problems like these. One might choose, for instance, to adopt an attitude to intellectual history which didn’t see keywords like ‘onoma’ as the names of concepts that it’s the investigator’s role to analyze. Instead, you might prefer to focus on the discursive ‘moves’ which the particular terms of interest licensed. That’s not a completely different project from the conceptual analysis one by any means, but it displaces the focus from the exploration of the putative concept underlying a term (a semantic, ideational approach), onto the discursive acts that that term enables (a pragmatic, discourse-oriented one). One could ask, for instance, not what Saussure meant or understood by, say, valeur, but how invoking this term allowed him to differentiate his own intellectual activity in the ‘move space’ of existing linguistics. Second, the question of anachronism reminds me of Gadamer’s point in Truth and Method: our prejudices (in other words, the preconceptions which incline us to ‘commit’ anachronisms) shouldn’t be seen as obstacles to an understanding of the past, but as the preconditions of it. We can only observe intellectual history from the vantage point of our own particular moment in time: if we weren’t standing in the present, no past would exist for us. In this light, the very project of avoiding “anachronism” in the history of ideas needs to be reconceived. Lastly, perhaps there’s a connection here to James’ question about the wider justifiability of the history of linguistics as a field of enquiry. (Clearly, however, historians of linguistics shouldn’t feel any greater defensiveness on this than anyone else involved in pure research.) Stanley Rosen says in Hermeneutics as Politics that “every hermeneutical program is at the same time itself a political manifesto or the corollary of a political manifesto”. The way we do intellectual history has implications for our stance on how we suppose that the encounter with alterity more broadly should be conducted. In a nutshell, perhaps, that’s the very question behind politics tout court. Thanks to all the guests of this salon for sharing their opinions with us. Anachronism may be a minor sin in comparison with the use linguists themselves make or might make of their own past if they are left tampering with history. Certainly, history does play a role in linguistics itself, whether to seek auctoritas and grant oneself a pedigree (think of Cartesian Linguistics), delegitimize a perspective, or play the rhetoric of revolution, discovery etc. (John Joseph has written eloquently on these matters). In a way, anachronism is built in the very idea of a discovery, as Auroux observes : for an invention that is a hapax, which does not enter into a cumulative process of enrichment, modification etc., and is not retrospectively identified as the first step in this process, is not a discovery. On this view, a discovery is a virtuous anachronism (see Auroux on the discovery of the ergative, first identified as casus activus / agendi in Basque). But characterizing a hapax as a discovery would be a vicious anachronism. The company of this salon makes a high bid: anachronism kept within the bounds of historians is not only inevitable and possibly inconsequential but may even be desirable. True, anachronism could serve as a bait to attract practitioners to the field, though from my experience I must confess that the Philistines will remain unreachable. I suspect that some linguists who fancy themselves as hard scientists would endorse Marvin Minsky’s saying that a dynamic science has no need of its past, even if this past were coated with anachronism. It seems to me that there are different kinds of anachronism at play: one is reading the new into the old (this is illustrated by John and by Gerda’s example of information structure), perhaps an inescapable consequence of corpse puppetry, as John so wittily says; another is seeing precursors where in fact a line of influence cannot be reconstructed (but this is no longer the case of information structure, or I suppose it is no longer the case, if a line of influence can be reconstructed from debates about the natural order to matters of topicalization etc.) ; perhaps this is not what is usually intended by “anachronism”. In my practice, I have met with a problem which I would describe as “the mirador effect” : at close range, it isn’t clear that such and such author had any influence on another ; at a distance and viewed from above, however, when considering very general ideas that are somehow transmitted, it seems that these authors are connected and share a cultural background. For example, I am not sure of the extent to which cognitive linguists knew localism or were versed in empiricism (or pragmatism), yet localist and empiricist ideas were in a way “spontaneously” adhered to by them ; in the same vein, it is not clear to me if Saussure played a role in shaping Langacker’s notion of sign (the context of its introduction would argue against it), yet Saussure or the semainon / semainomenon pair belong to the cultural “background”. A last kind of anachronism could be called, to distinguish it from the preceding ones, “catachronism” (sorry for this pedantic name); this is reading the old into the new, whether there is an attested line of influence or not. I think I fell prey to it when I compared Langacker’s “trajector” with Bloomfield’s “aperceptive” subject; or maybe I wasn’t guilty of it, and there is a way of justifying this comparison, thanks to the mirador effect: the general idea that cognitive foregrounding at large plays a role in grammatical structure may be common to both authors, and traceable in this modern form (having to do with degrees of segregation in consciousness) to the turn of the 19th – 20th (?? ).